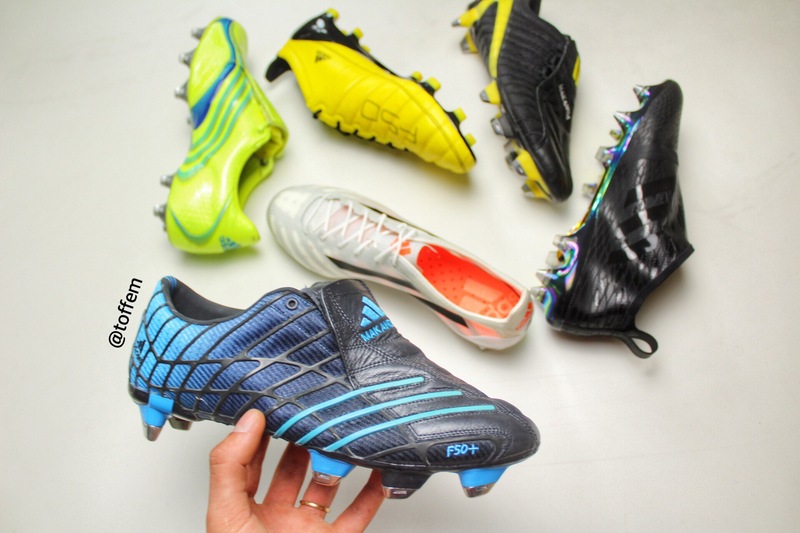 power and swerve to the kick thanks to the rubber fins! 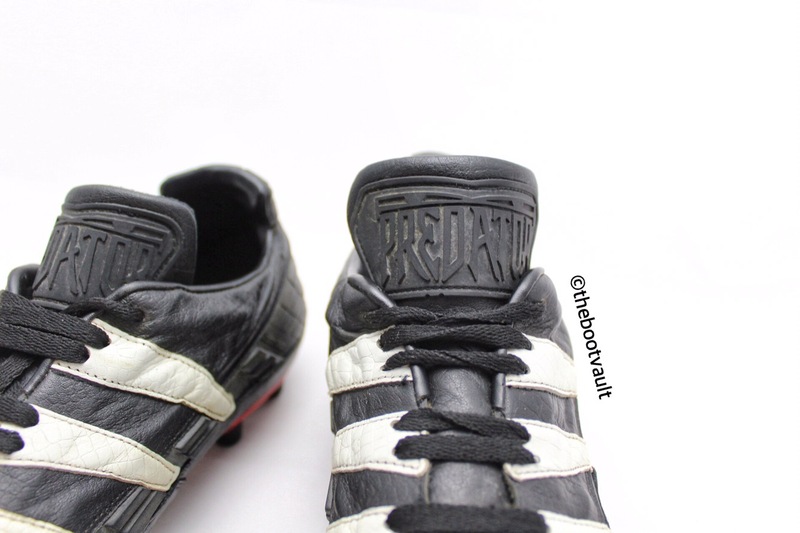 the first Predator. 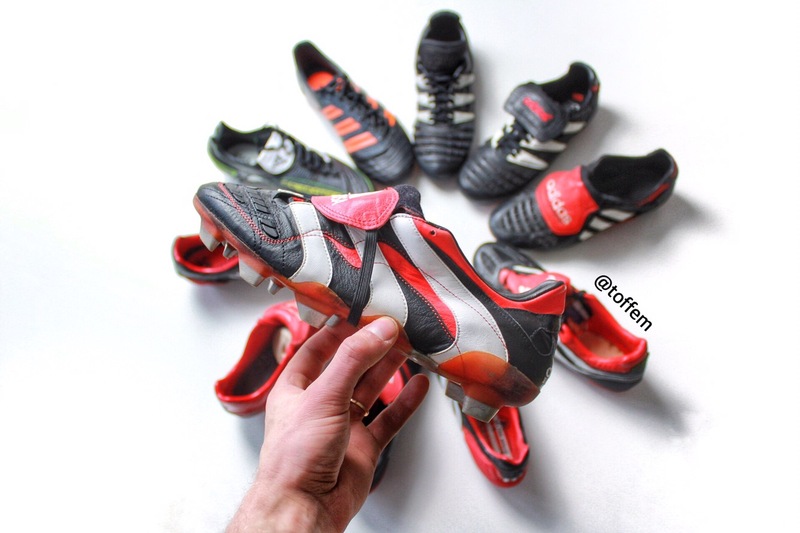 It was his idea to add the rubber fins, he compared it to table-tennis! 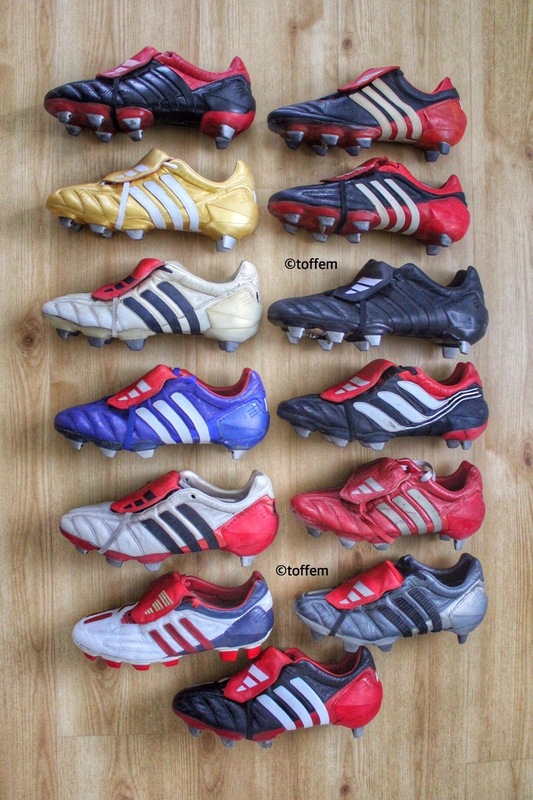 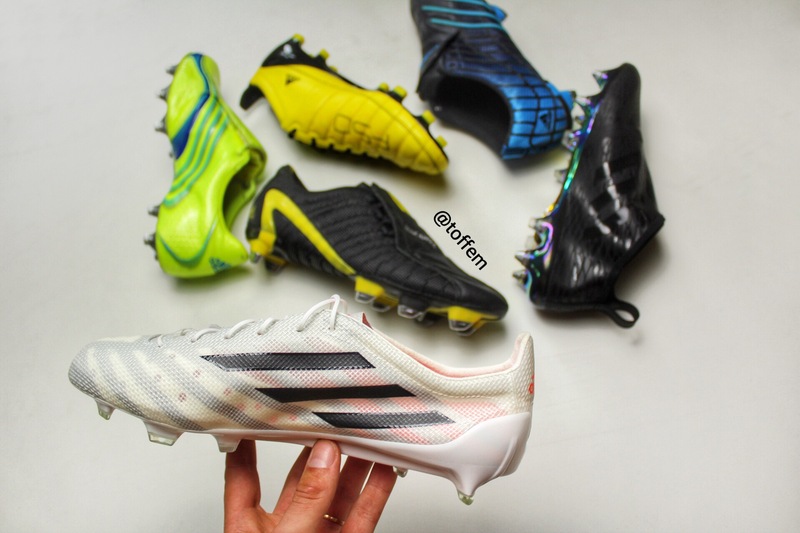 These boots became Adidas biggest revolution in history of football boots! 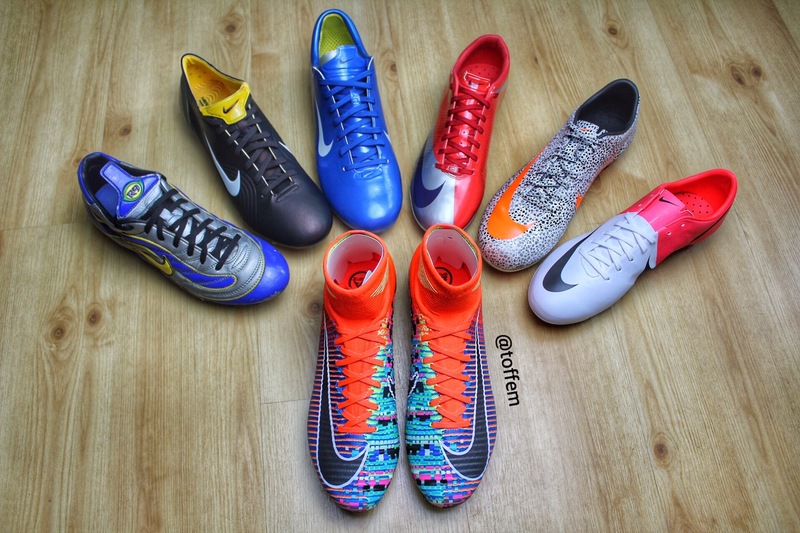 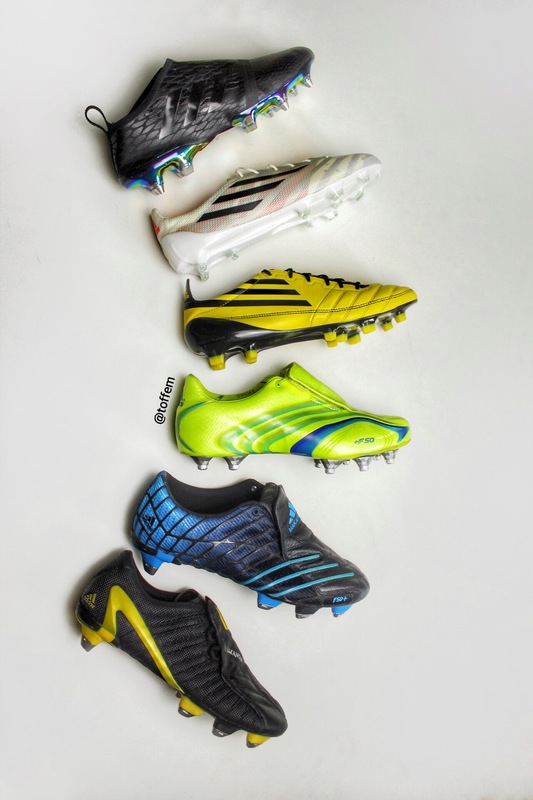 Thank you for reading and stay tuned I will soon write about the “Milestones in football boot history”. 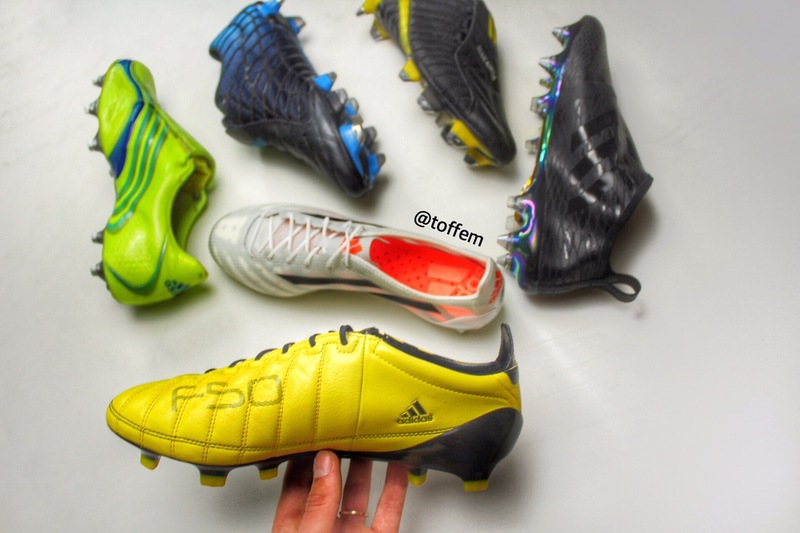 The Adidas F50 range was a succes for many years. 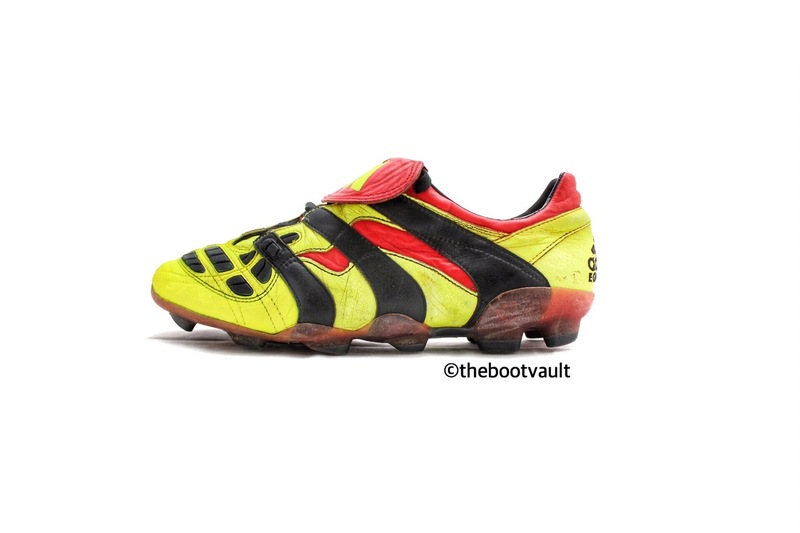 The first boot came out in 2003 with the cool launch colourway black and yellow, remember D.Cisse as a main character in the Adidas advertisment. 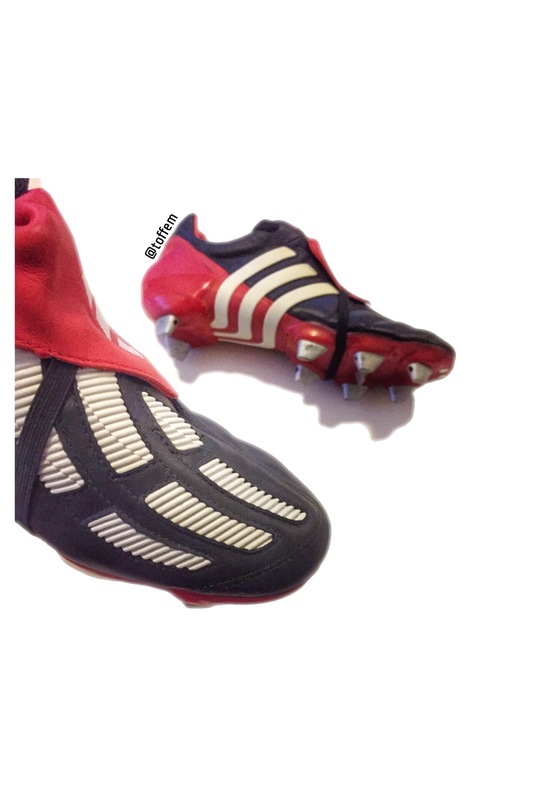 They were also one of the first boots were you could hide the laces and this way get a better strike to the ball. 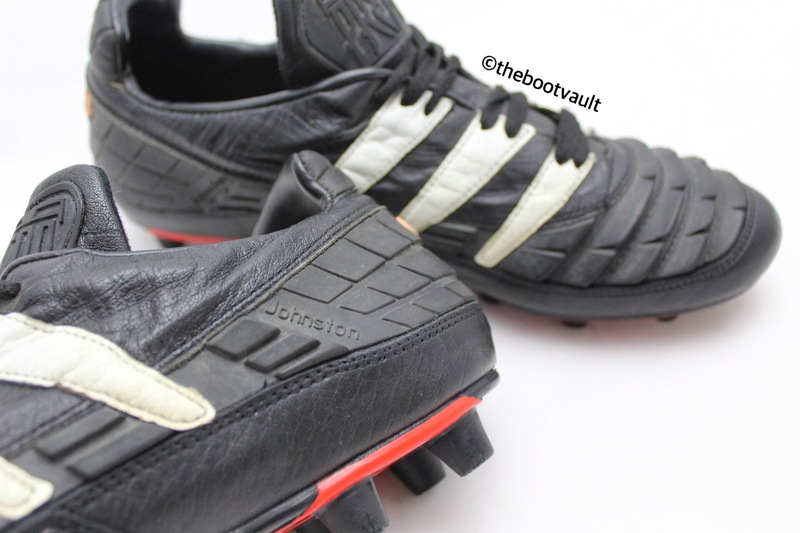 In 2004 Adidas released the second generation of the F50 range for the European Championship, Adidas F50+ with a cool spiderweb design. 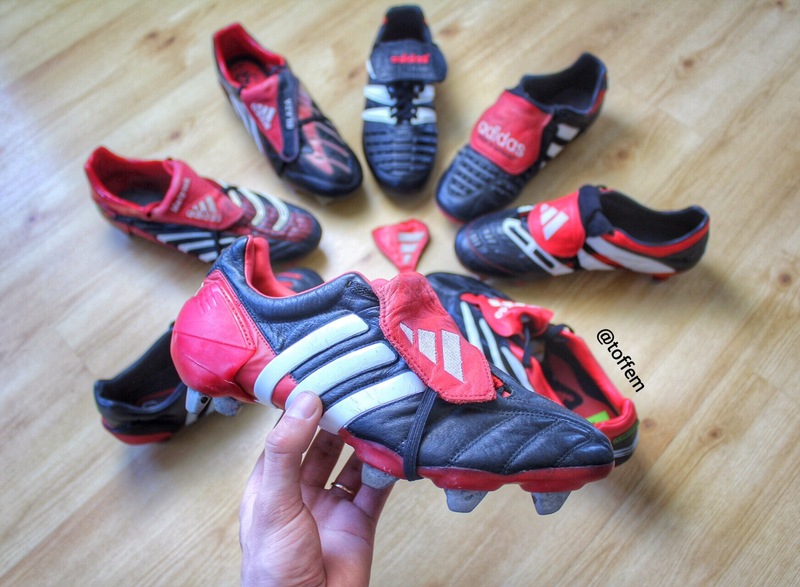 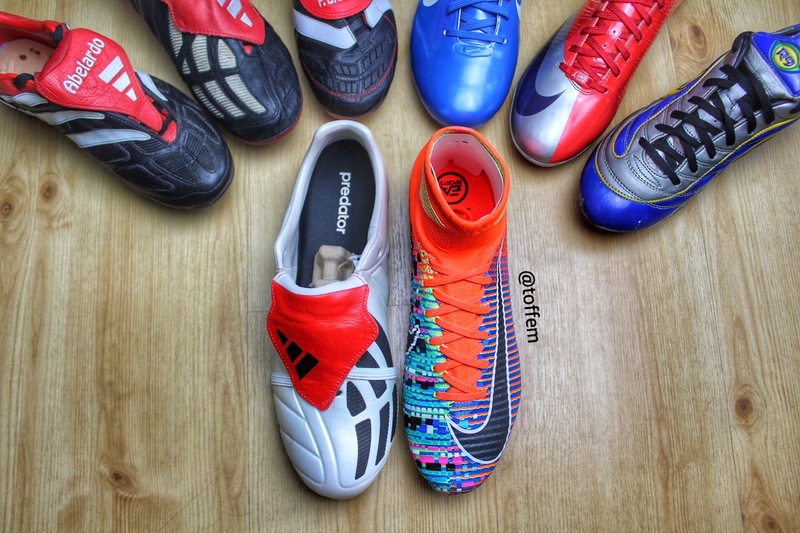 Still one of the coolest boot designs out there! 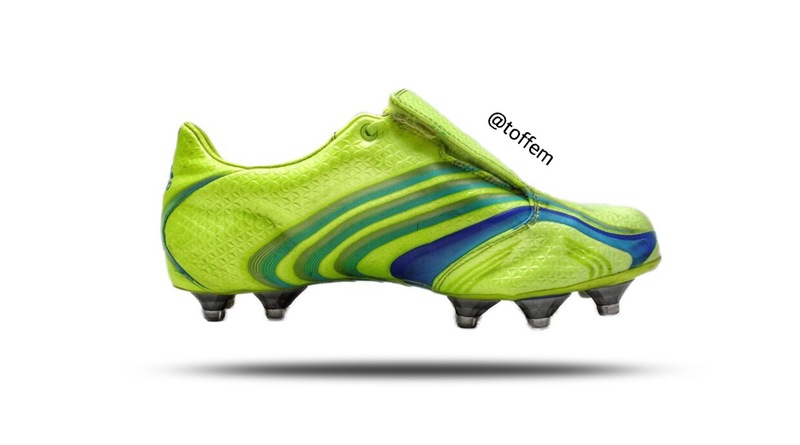 Next boot that has to be mentioned is the first ever Adidas F50 Adizero, released during the World Cup in South Africa! 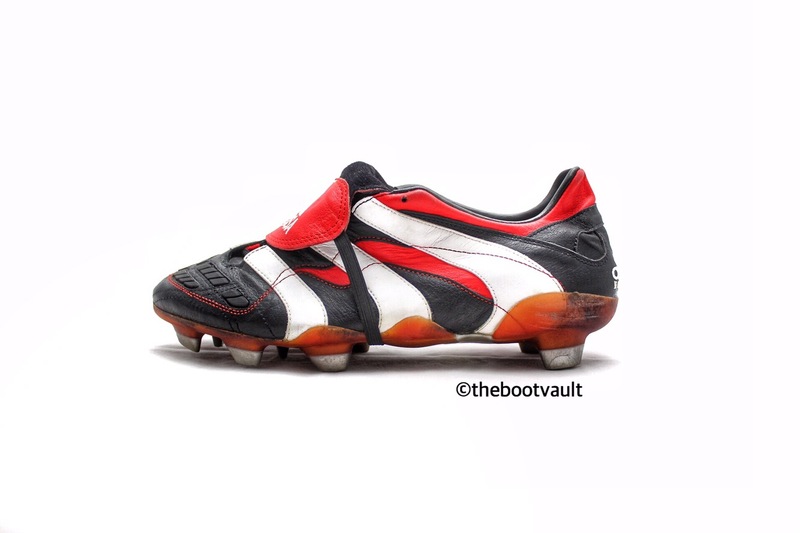 A beautiful boot and very light. 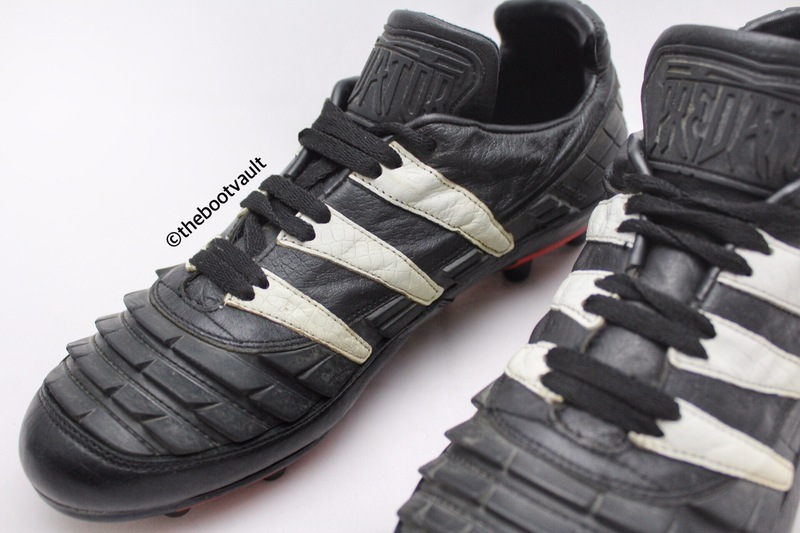 The best of all was that you could get them in leather version. 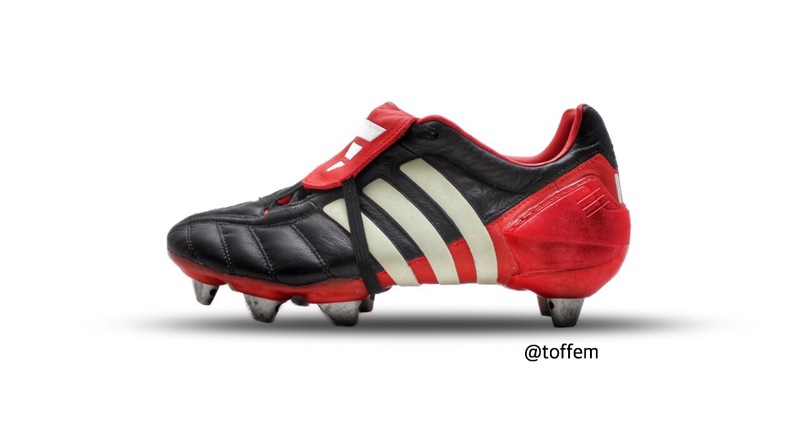 I think this model still is one of people’s favourite. 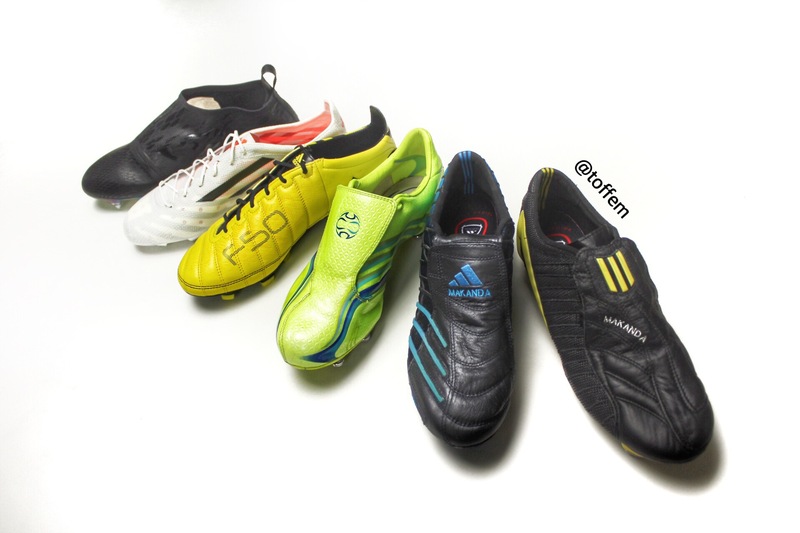 Everyone remebers D.Forlan winning the top goalscorer and player of the tournament in WC2010! 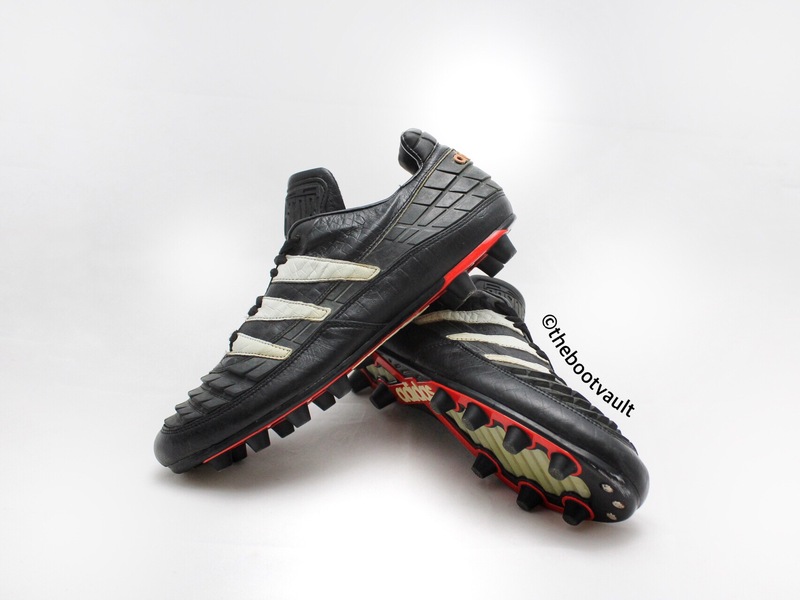 And next boot is still the lightest boot ever made, the Adidas F50 Crazylight 99 gram! 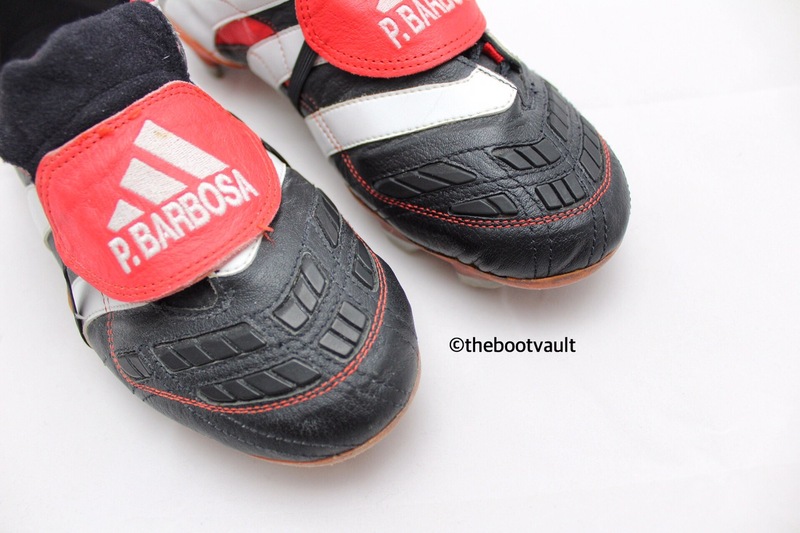 Revealed in 2014 and later released in limited numbers 299 pairs. 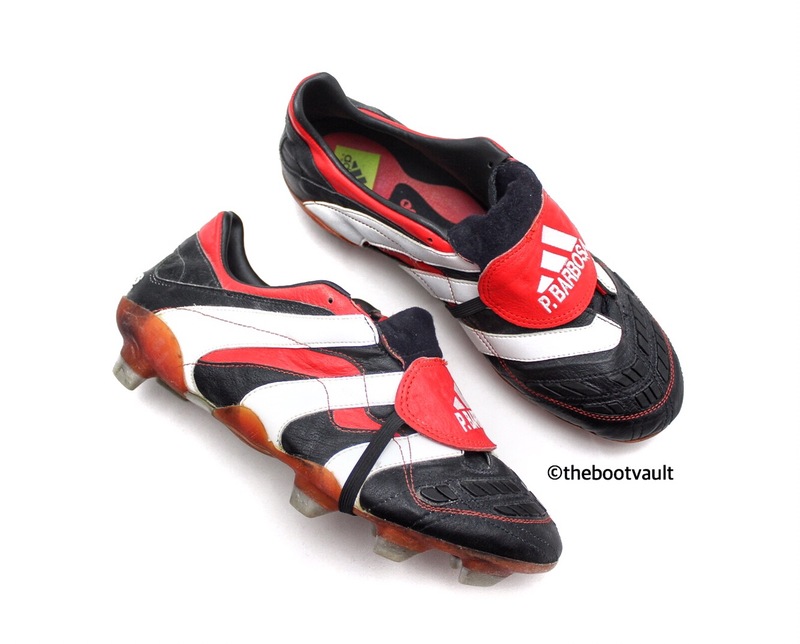 Not a durable boot but for sure pushing the boundaries! 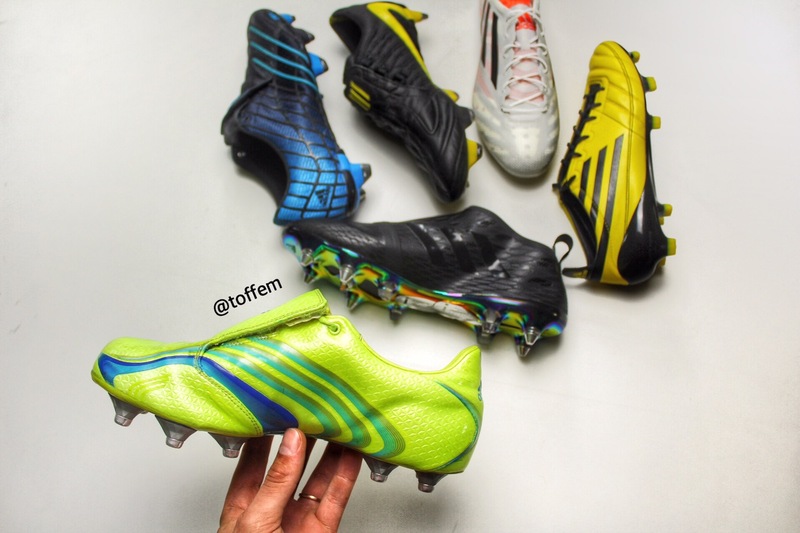 Last one is actually not from the F50 range, but some how we could look at them as follower to the old F59 range. 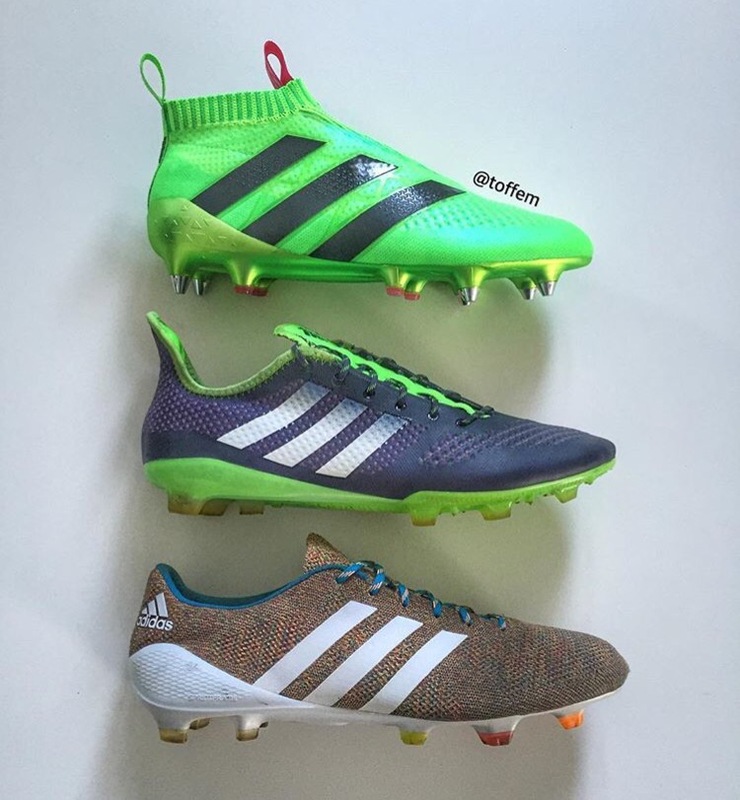 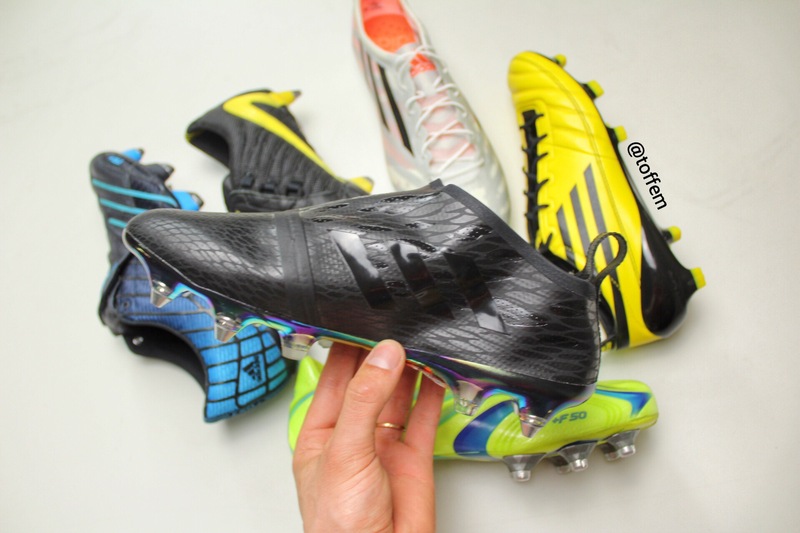 The boot is called Adidas Glitch and was released in 2016, only in UK. 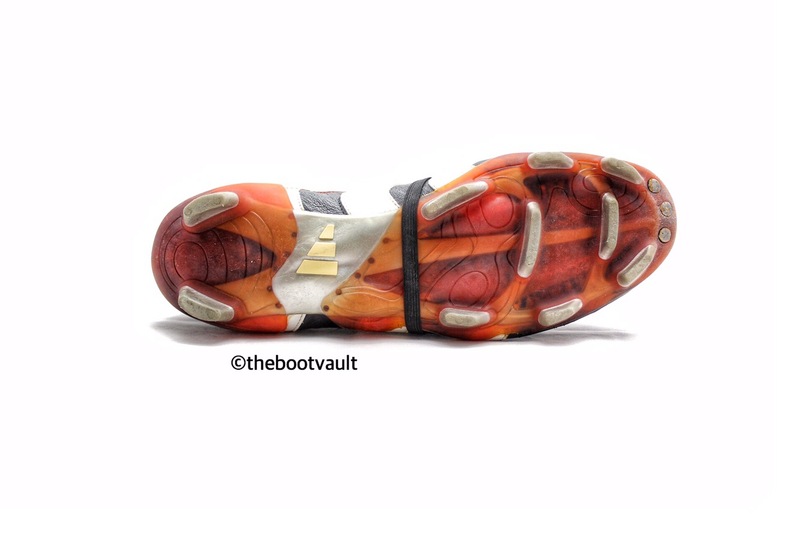 This boot got no laces and you can change between the inner- and outerskins, also no laces needed! 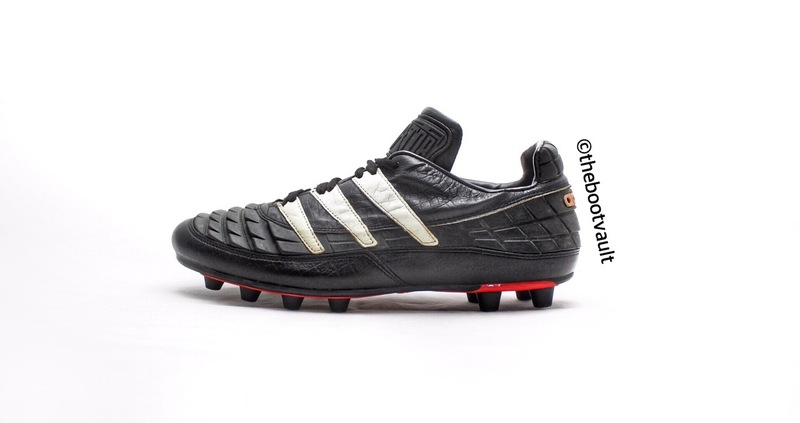 Let’s see when this boot is released worldwide.